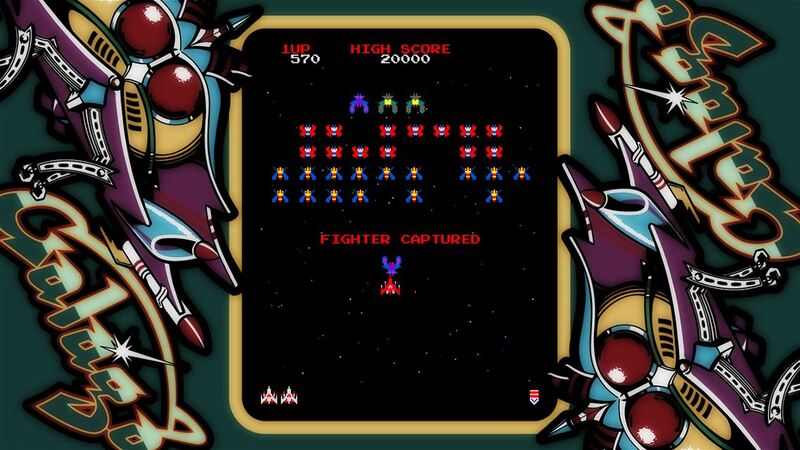 As part of its Arcade Game Series, Bandai Namco has released the classic shoot-em-up Galaga on Xbox One for the awesomely low price of just $4. The classic gameplay is as good as ever, the presentation is solid, and you really can’t beat the price. Our review has more. 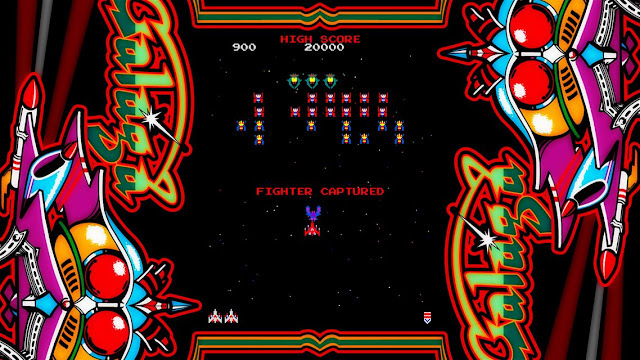 You can buy the Arcade Game Series version of Galaga for Xbox One by itself for $4 or in a bundle with AGS versions of Pac-Man and Dig Dug for $8. Either way, it is a heck of a deal. As a die-hard shoot-em-up fan, but not really a fan of the others, I happily paid the $4 to have Galaga on my Xbox One. Honestly, there isn’t really all that much to say about the gameplay here. It is classic Galaga in all of its glory. You control a little ship on the bottom of the screen and can shoot upwards at aliens as they fly around the screen. Different alien types have different patterns, so learning how everything is going to move and shoot back at you is key to surviving for as long as possible. Survival is really the goal here, as surviving longer guarantees you a higher score, but there are techniques such as destroying enemies in a certain order that give you more points. Even if you aren’t going for high scores and just want to survive, Galaga is a ton of fun. Unlike the Xbox Live Arcade release of Galaga on Xbox 360, there are no continues here. When you run out of lives, it is game over and you have to start again. I’m kind of torn on this fact, though. On Xbox Live Arcade I was able to get all of the achievements thanks to the continues, but it is much tougher sledding on Xbox One to see the whole game and earn all of that sweet, sweet gamerscore. The game is definitely fun enough and addictive enough that you’ll keep on trying until you see it all, though, so it isn’t much of a complaint. The presentation is fantastic here. The game has been re-built for 1080p, but it still retains the classic arcade look. The sound is also a trip down memory lane as it is the exact same as it sounded in the arcades 30-years ago. My only issue with the presentation is that the options for side art on the borders of the screen are pretty abysmal. They’re giant and gaudy and obnoxious to look at. Some subtlety would have been appreciated. Getting a near perfect port of Galaga for just $4 is pretty hard to argue with, though, so any nitpicks you have are quickly washed away by just how fun and addictive and great the game still is to this day. Long time fans of the game will love it, but younger players can have a great time as well. And for that price you really can’t go wrong.